That ending just makes way more sense… And. of course, the biggest news out of Comicon in San Diego was the Superman-Batman movie announcement. Odds that Superhero movies have moved on from the general public wheelhouse by then? I don’t know… Maybe they should enlist Jeph Loeb to co-script. I think I need the ‘Because I’m Batman’ t-shirt. A year and-a-half into the Juergen Klinsmann experience and and we’re starting to have the same criticism of him as we often leveled on his predecessor, Bob Bradley. He’s over-reliant on certain of his guys. He gets the tactics wrong or can’t get the team to adjust. He plays too many friggin’ defensive midfielders! Where we are now as a result: tied atop the standings of our World Cup Qualifying group with one round of two games to play. Tied with Jamaica and Guatemala, but not looking all that convincing, with lots of questions on the horizon. Last Friday’s 2-1 loss in Kingston followed by Tuesday’s 1-0 win in Columbus split both the points and the goals evenly with the Jamaicans. As a pragmatist, this is just fine – especially when factoring in the lack of Michael Bradley and Landon Donovan due to injury. But when considering how the USA played and how Klinsmann coached, well… Next year’s hexagonal round of qualifying (assuming we handle tiny Antigua on the road and Guatemala at home next month) looks a whole lot rougher. 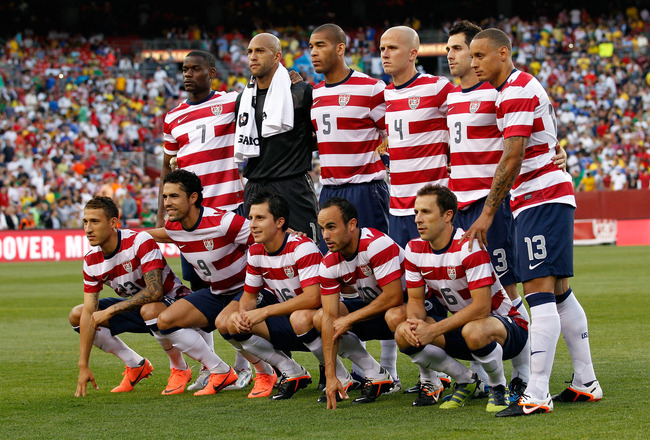 The US Soccer Team took its first steps on the road to the World Cup Finals in Brazil. And they’re tired already. Last Friday’s 3-1 win over Antigua and Barbuda, followed by Tuesday’s 1-1 draw in Guatemala, served the reminder that qualifying, while mandatory, ain’t easy. It’s the same old mantra for qualifying out of our region: win at home, draw on the road. But the team is off until September, when it will play Jamaica twice in five days. Win at home, draw on the road, get to the next round. Still, we need to improve depth and the offensive gameplan to win the Hex and arrive at Brazil in position to make some noise. If you’re a die hard US Soccer Fan, the last two weeks, with three friendlies and roller-coaster results, provided must-see viewing and grist for the soccer-analytic-mill in a big way. We saw the debut of the ‘Where’s Waldo’ jerseys, the A-Team pretty much in place, and Donovan and Dempsey on the field for the same time since Juergen Klinsmann took over. Coach Klinsi wanted to treat this three game stretch leading up to the two World Cup Qualifiers (June 8 against Antigua and Barbuda, June 12 at Guatemala) as a tournament. If so the U.S. might have made it out of the first round on goal differential, beating a disinterested Scotland 5-1, losing to Brazil 4-1, and drawing Canada 0-0. More important was the way the US played (at times) pressuring high, carrying the ball forward quickly, and working the quick combos to generate scoring chances. The team showed a capability to play the positive attack-minded soccer Klinsmann has been talking about since he took over. Unfortunately, they also showed long stretches of passing and possession futility, lack of depth at key positions, and problems getting Donovan and Dempsey involved simultaneously. Dempsey has always seemed to play with a chip on his shoulder. His attitude and grit are attributes that have long been associated with U.S. players. He also has a ton of skill and has developed an upper level understanding and instinct for scoring and setting teammates up. Sometimes, when you watch him play for the national team you get the idea everyone else (except Landon) is three steps behind him. At any rate, he became the all-time leading Premier League scorer for Fulham earlier this year. He’s scored 16 goals for them in all competitions so far. He has one more year on his contract, which could mean a big money move for him this summer (so Fulham can avoid letting him go for free). 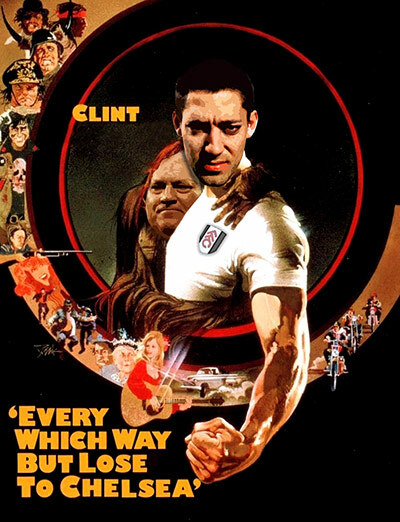 Clint’s said he wants to play in the Champion’s League, and few would argue he’s up for it. In fact, you could slot him in to any team in England – any team: Chelsea, Manchester United, Liverpool – and he would start and thrive. That’s the kind of player he is. The US Soccer Team defeated Panama 1-0 in Houston last night to advance to the Gold Cup final in Pasadena. There they will find Mexico and the matchup everyone envisioned for this regional championship. Last night’s match was no beauty pageant as both sides fatigue from the last two weeks showed prominently. But Coach Bob Bradley pulled the strings again with a solid 4-5-1 gameplan, again bringing Landon Donovan off the bench to save his legs, and this time it was a familiar face, a guy lost in the wilderness and absent for two years who finally unhinged the stingy Panamanian defense. That’s right: Freddy Adu.